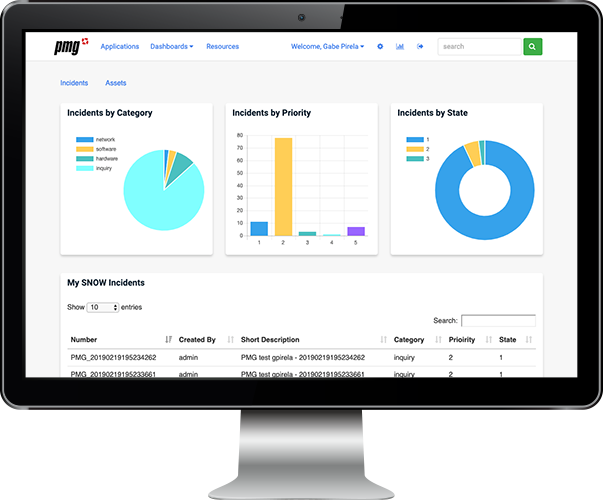 To analyze and display data, PMG has built-in reporting capabilities as well as out-of-the-box reports. Easy configuration of reports allows users to create the personalized views they need to do their jobs effectively. A variety of report styles. Both graphical views and simple spreadsheet-style reports are available in the platform and offer drill down capabilities. In tabular reports, columns support a range of sorting and filtering options. Reports can include standard graphical elements such as pie charts, line graphs, or bar graphs. 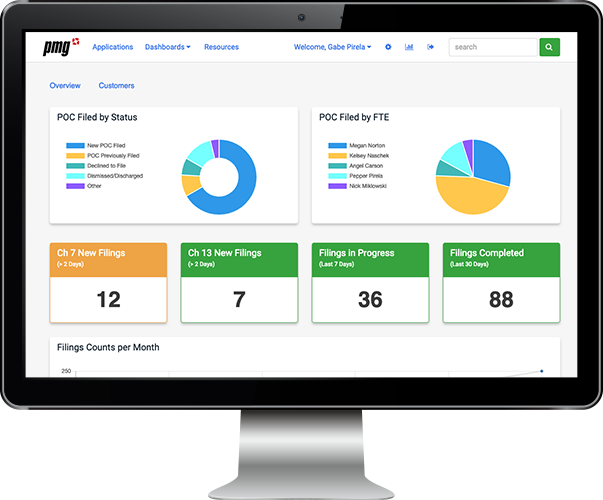 PMG reports provide the foundation for configurable dashboards. Standard list and spreadsheet formats offer configurable formatting options for report rendering, including input filters, section headers, auto-paging of results, and an “Export to Excel” link. Any data – from PMG or external. Reporting is not limited to activities and data stored within PMG. You can query against core product tables or any number of external data sources. Users can create ad-hoc reports that aren’t limited to what’s stored within the PMG system, but will pull data from external databases or any system via API call. Data is dynamically queried and displayed in real-time, providing an effective analytics framework for sound decision-making. A range of options for report creation. PMG’s built-in reporting framework offers alternatives for creating and rendering reports. 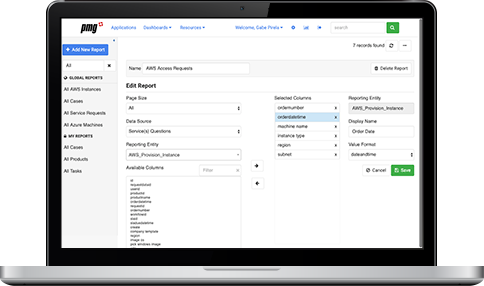 PMG’s Report Builder feature allows users to create custom reports visually, without writing any SQL queries. You can select the data fields to report on and decide how you want them displayed. PMG’s Report Editor utility allows admin users to write SQL queries to build reports against system data or external data sources as needed. All reports can be exported as XML documents. Configurable permission settings mean that report access can be controlled by person or by role, ensuring that confidential or sensitive data isn’t shown to unauthorized parties.